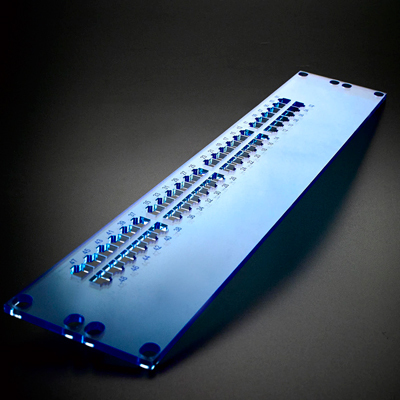 Switch Templates are a helpful aid in maintaining a constant workflow, as they allow engineers to carry out testing, regardless of whether the vital equipment has arrived in time. The template can be left in place until the appropriate switch/hub equipment arrives. Templates are produced from 5mm cast acrylic, which is cut to create port socket apertures and also engraved for port identification. Company logo can also be added.